This Cheapest Time to Fly to Hawaii features our six-article guide, just updated. 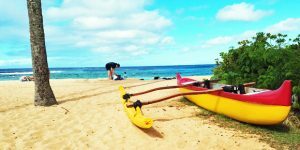 Read our new tips on Hawaii vacation deals, the best and worst dates to travel in 2019, when to buy, and what prices to expect during all seasons, including holidays. This, one of our most popular posts ever, has been read millions of times and has nearly 5 thousand comments and over 61,000 Facebook Likes. You’ll find questions and answers helpful to finding Hawaii vacation deals! Then add your comments and questions. We are all anxiously awaiting news from Southwest Airlines and it could come at any time. Read all the details on the details on upcoming Southwest Hawaii flights. 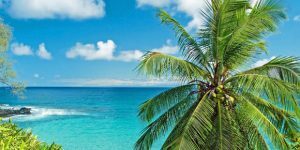 Cheapest Time to Fly to Hawaii – What to Expect in 2019. Earlier this year we saw Hawaii flights on both United and Alaska for just $99 each way. It doesn’t get any better than that! These could return again so be sure to subscribe to our free email updates and be first to get Hawaii deals. 2018 was largely be about increased competition from existing airlines. More new flights to Honolulu, Maui, Kona and Lihue are coming as Hawaiian Airlines continues to take delivery of additional single-aisle Airbus A321neo planes, and Alaska receives Boeing 737 MAX aircraft. These new extended range jets are the upcoming workhorses for most west coast (and beyond) flights to Hawaii. Plus United and Delta continue to remind us all that they are here to stay in Hawaii. Now we are also getting ready for Southwest Airlines flights to Hawaii. SWA is gearing up rapidly and there may be flight announcements at any time. By early 2019 and probably sooner, we’ll have Southwest flying to Hawaii from California. Great News for Value Hawaii vacations! Flights to Hawaii remain at inflation adjusted low prices and this is only going to get better – probably a lot better. That’s good news for 2019 Hawaii vacations. 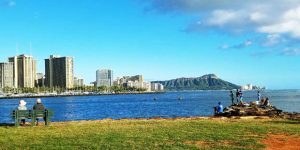 Recent and upcoming competition and strong discounting on many routes result in cheaper than expected flights to Hawaii. The two largest Hawaii air markets – Southern California and Northern California, continue to see improving sale pricing as some shake up in competition is occurring. These will only improve throughout 2019. Since California flights to Hawaii will be highly impacted by Southwest, they should have the best airfares going forward. Seattle and Portland have had increased competition including Delta inaugurating nonstop flights from Seattle to Lihue last year. Expect more flights to Hawaii on Delta as they compete head on with Alaska Airlines from the Pacific Northwest. Seattle has benefited most to date with excellent prices on both Delta and United. This is also having a positive effect on the price of flights to Hawaii from Portland. San Diego and Sacramento saw favorable improvements in prices on flights to Hawaii and there may be new flights from those cities this year. These cities will have flights from Southwest! Start your Hawaii vacation planning now with our helpful guides below. Are you looking for a deal? Here's where to to find the best ones over the coming year. Just updated travel dates for the best prices in every season. Where To Find The Best Deals and Experiences. Which cities offer the cheapest fares. Cost varies based on these criteria. Updates/changes on airlines that fly to Hawaii, where they fly from, and deals. We continue to update the information contained here very frequently. You’ll never miss a deal when you subscribe to our free deal alert emails. We look forward to your comments and questions. We try our best to respond to most comments individually and timely. If you read the comments, we have already answered many of the most asked questions. And if you would like to respond to others’ comments and questions, we encourage that too. E komo mai (Welcome). Mahalo and A Hui Hou! Have enjoyed all the information you provide for a newby like myself. Thank you so much for providing so much up to date all about Hawaii information! I have read so much information, as I am trying to gain as much knowledge possible for my family’s first time ever trip to the Islands in March 2020. 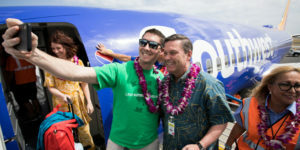 We are dedicated Southwest customers and are very excited to have found out that they will begin providing flights to Hawaii among their destinations. There are 6 of us traveling and currently I am unable to obtain any flight schedules from Southwest (or any other airlines) for March 2020. It would be so much appreciated, if you could give me an idea of when you feel these dates will become available to book? I am both excited and nervous – excited because the pricing possibly may decrease but nervous that I may be a little too late in our planning to actually be able to take advantage of the pricing (what’s your opinion) war fare. We will be traveling from Orlando, FL (MCO) to Maui, HI (OGG). Do you think we will have to book a flight from Orlando to say maybe somewhere in California; and then book another flight from California to Hawaii? Or do you think we will be able to just book a flight from Orlando to Maui? Not sure you actually would know this answer but you seem so knowledgeable and thought I would ask. Are return will be from Oahu, HI to Orlando, FL. When would be the best time to book inter-island flights (from Maui to Oahu)? Should we stay with Southwest for that flight as well? Are you familiar with Car rental? I wasn’t for sure if you just deal strictly with airline information or not. Looking for car rental recommendations on both those Islands. Having the same issue with car rentals as no booking schedule is available at this time. Again, thank you for sharing you wealth of information about Hawaii. Looking forward and so excited for our up coming 2020 vacation. First, Southwest currently only books about six months out, whereas other airlines book eleven months out. Southwest will add connecting flights across their network over the next days, weeks and months. Also, we don’t know yet when peak of spring break will be, but generally that happens around March. It is an expensive time to visit Hawaii in terms of airfare and all other expenses. Hope that is helpful. Stay in touch and we’ll be happy to help further as we can. If you are looking for a car in Maui Hawaii, I have found that Costco has the best deals. And the car rentals are right next to the airport. I have used this a couple of times. Just go to Costco and pick the airport you want and you can reserve the car just about anytime. I am going in January 2020 and have already reserved a car. Hello! I have to fly from LAX to OGG for July 4th weekend. Cheapest I’ve seen the last couple months is a July 4 (Thursday) to July 8 (Monday) flight around $590. With the Southwest release today, I was hoping Southwest would be cheaper and/or other airlines would dip, but that doesn’t appear to be the case right now. Do you think I should just pull the trigger on the $590? We don’t know when Los Angeles on SWA might be included. That is a very expensive time to visit, and $590 is a good price. Hard to predict unfortunately. Suggest buying. My sons wedding is on Maui Sept 1 2019. We want to fly out from Sacramento August 29th. 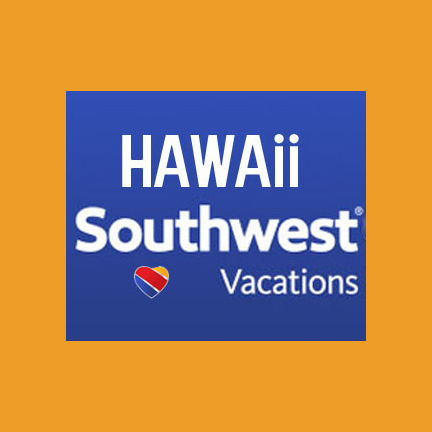 We have tons of points with Southwest so have been waiting for their flights to Hawaii but I’m getting nervous that flight will sell out once Southwest flights are announced. Do you have any advise on how I should proceed. Should I wait for Southwest or find a good flight on another airline now? Seems reasonable given your dates and location to wait a few more days. We do suspect your dates may be in the first round of sales. So do stay tuned and act quickly. That’s really all that we know at this moment. We could depart after July 19th and we need to return by August 13th. But what would be a good price? ITA Matrix currently shows prices from $418 to $ 463. There should be great deals from the initial SWA gateway cities, so those are the best choices. We will see how fare sales evolve, but perhaps target $300’s for mid-summer dates like yours. My wife and I are planning a trip to Lihue, departing from Chicago in early May on Alaska Airlines. We haven’t purchased our tickets yet because with Southwest entering the picture we were hoping that the Alaskan fares will come down. We have a voucher with Alaska and this is why we’re looking at booking our reservation with them. Do we have time to wait or should we book now? Looks like SW won’t be flying to Lihue until summer so maybe that route won’t be discounted at this point anyway. Thank you! Terry G.
May is one of those times you should not need to plan far in advance, unless you are including Memorial Day period. So hang in there just a bit and we’ll all see what is about to happen. I have a family of 5 traveling to Oahu and Kauai over Dec 19th and returning Jan 3rd. Dates are set due to school schedules. Hotels are already booked, so nervous about when to book. Looking to book R/T from Cleveland to Honolulu and tickets are around $1400 each now. Really hoping to find a lower fare before booking, do you believe the Southwest price wars will affect holiday travel? United or American have the best flights from Cleveland do you believe they will have lower prices as well? same boat i am in, I always book in february for november travel and never have seen prices like this. not sure what is causing it this year. Prices still seem the same at this point? Any thought/ or suggestions? Wondering if we should pull the trigger or wait. Not really wanting to pay more, and concerned they will lpñeep going up? My husband and I are planning a trip to Maui November 5-19, 2019, flying from Portland, Or to OGG. When is the best time to purchase airline tickets? We are planning to fly Hawaiian Airlines. Should we wait for a better price or purchase soon for better seat selection? Thank you. Way too soon for best prices (savings to $150 RT). Just watch for our sale updates. Target date to purchase is June on. Hello, I am moving to the big Island, Hilo side with my family of 5 the first week in August 2019. We are open to flying into either ITO or KOA and driving to Hilo area. I was planning to purchase tickets flying out from Minneapolis, MN. I’m wondering if it makes sense to wait and watch tickets for a couple months, or purchase ASAP. Thank you! $298 to $459 one way during first week. To either Hilo or Kona on multiple airlines. Shortest duration is most money obviously. Not sure it will go down that week by waiting, but probably the following week it will go down somewhat (maybe by up to $100 on short duration flights). I am very concerned with my travel plans to Maui this November. I am looking to fly to OGG from PDX on 11/22 and prices are well over 1000 dollars per person. I have no flexibility due to my vacation senority at work. Last year I flew out the exact same day and was able to purchase those tickets in February for around 550 each. I understand this is Thanksgiving time, however I thought a week in advance wouldn’t be that bad. Is there any hope these prices are just inflated for the time? I would hate to have to cancel my plans this year. Aloha! Looking to book our family of 5 from PHX to Maui in October. Would prefer non-stop but if there is a route that made sense to stop over i.e. PHX>SAN or PHX>LAX, that would work too. Any thoughts to maximize value? Time to be looking for that is late spring into summer. Stopovers unless real stopovers are complicated and not really great. If however, you bought something to San Diego, and then San Diego to Maui, it could work out better financially. But then there will be luggage issues, possible second security screening, etc. Close to $600 nonstop, or depending on deals maybe around $400. We are planning to fly to Kona from Denver in late Dec 2019 to early Jan 2020 (over New Years). Looks like the cheapest roundtrip flight we can find is around $780. We’re a family of four. If you have any further insight as to whether or not we should go ahead and book or wait a bit longer, I’d really appreciate it! Thank you. That’s a good price from your dates, if timing/connections work for you. Would suggest buying sooner than later. I am planning on flying to Honolulu the beginning of Dec 2019. I will be 65 by then. I can leave either from Chicago, IL or Indianapolis, IN. What days are the least expensive to fly and from which airport? Chicago cheaper. Currently about $700RT but should ease to about $550 about three months in advance. About two years ago, it was rumored Hawaiian Airlines was going to fly out of Philadelphia, Pa. Please tell me, was I hearing things? It would be wonderful not to travel to NYC and its nightmare traffic. We really like HA better than the other options, they just seem much more customer friendly. Thanks for checking this rumor. We have heard Philadelphia mentioned as well, in a list of possible non west coast additions. Nothing more than that. Given how hard it has been to find success with their NYC route and the upcoming Boston route, it doesn’t seem likely that new far away cities will be added in the near future. We could be wrong, but just a gut feeling. Looking at interisland flights from HNL to Lihue and then Lihue to Kona in October. I’m curious as to the best time to buy these routes as Hawaiian normally has sales for interisland routes throughout the year. I read a lot of great information on here and am very excited for our trip to Hawaii. We are planning to fly out end of August from Dayton, Cincinnati, or Columbus, to Maui and intend on staying for 10 days. Should we book flights now (I saw some as low around $700) or wait a little longer? Yes we see those fares just under $700. Doubtful it can really improve much and there are quick connections at that price too. Suggest buying now. i was going to book a flight to honolulu in September should i wait to see if the flight prices will go down? I’m looking to travel in September of 2019 and saw rates from from $636 to $496. I’ve seen lower for September LAST year but wondering if I should bite the bullet and take advantage of the $496 R/T. Thoughts? I’ve been looking at Oahu for feb and march 2019. I’ve missed some great deals ($286 RT)because I thought the prices would stay since it was 4-5 months prior to the flight. Now it’s gone up and and it seems to be going up everyday. am i doomed? is it still true that booking 6 weeks prior will give you the best deals? I just don’t want to pay for anything more than $400 from socal. Thank you! Because your dates are high season, spring break, it would probably not be wise to wait any longer. We don’t know what inter-island SWA may or may not have by then. Right side going will probably be best viewing, as you said. Weather-depending of course. Thanks for all of the great information! My family and I will be traveling to HNL in mid March 2019 (yes, during Spring Break). Leaving from Denver. I’m finding fares ranging for around $875 (including taxes). Should I book now or wait a bit? Not sure how prices will vary as we get closer. Thanks for any advice you can pass along! We subscribed to BOH when we first started traveling to Maui and have gotten some great airfares with Hawaiian Airlines. We just booked a trip for January on HA at $284 per person R/T from Seattle. Much appreciate your letting us know.